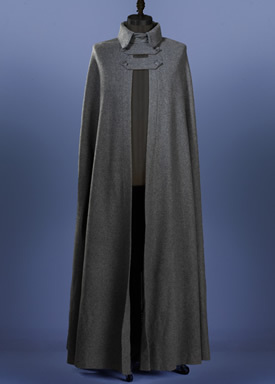 Our Long Cape is a beautiful full length cape with collar, which closes with three tabs down the front. 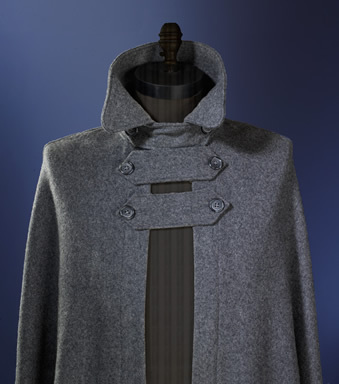 It is made of 100% wool Melton and unlined. Standard colours are black, midnight blue, teal, and gray. Other colours are available on request. Please specify your height when ordering.